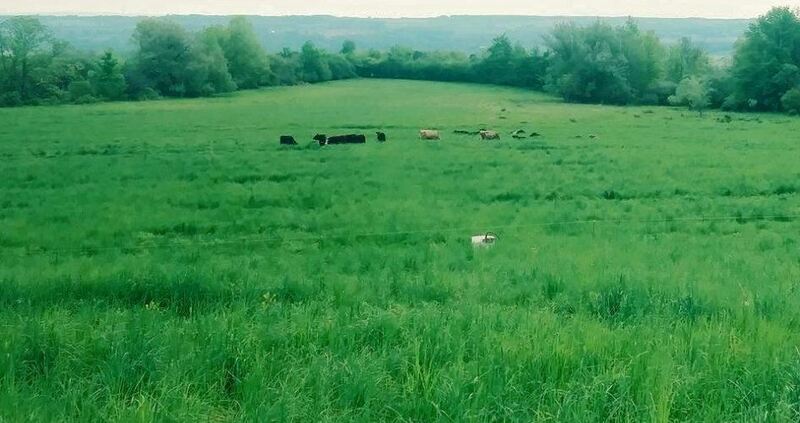 WintersGrass Farm - Can organic and pasture based systems feed the world? Can organic and pasture based systems feed the world? 2018 Bulk Beef Orders - Smaller Packages Available What do I get when I buy a half pig? New York is primarily hills and valleys with limited flat land and some mountains. Drive by any of the big mega dairies that now populate the land scape and you will see unused land. Either it is too steep, or too wet, or for some reason it is hostile to the huge tractors that modern ag relies on. Because these dairies only grow crops and do not pasture livestock anymore, they end up with a good bit of land that just doesn't fit the program. Half of the 85 acres WintersGrass Farm currently leases was unused prior to us taking over the farm. Simply by relying on livestock instead of tractors to produce food, we have been able to double the land base that can now be used to feed our community. 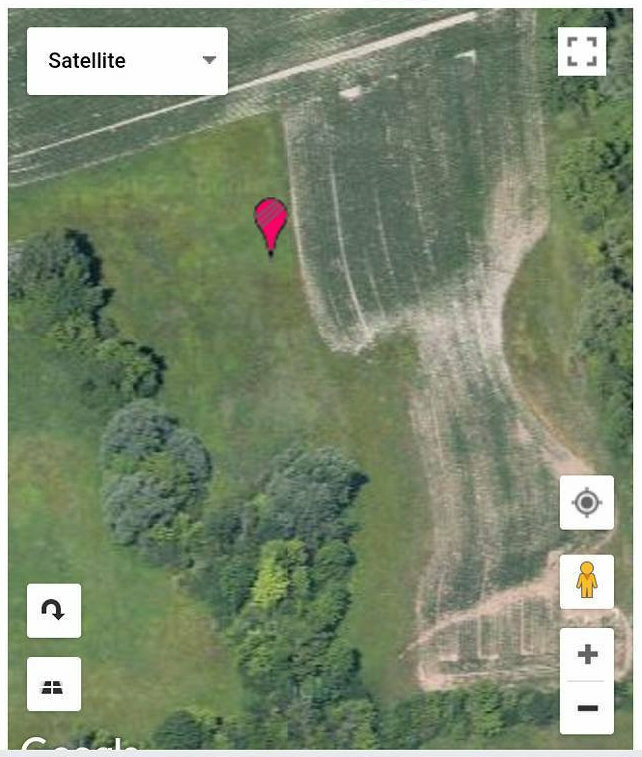 The image below is a satellite image of one of our fields when it was just being planted to corn by another farmer. The image above is what the same field looks like after 3 years of rotational grazing.